I frequented this establishment many times. I loved it. WOW, we used to hit The Garret all the time and listen to some of the best music ever!! I enjoyed many hours at The Garret. I also enjoyed very much working on the Album with Terrea. What a joyous part of my life this was. Hi, I wonder if any of the old crowd would like contact. The Garret to go home to,and to reminisce. May it live forever. Lived next door to Terrea's mom growing up and couldn't wait to get my driver's license so I could drive to the Garret to hear her whenever I wanted. It was worth the wait. It was so long ago now but I still remember some of it like it was yesterday. I first heard "The First Time Ever" and "It Was A Very Good Year" sung by Terrea in 1964 and went to the Garrett regularly. I loved that nobody was drunk and that the music was enough of a thrill. I went looking for the Garret after it was closed and felt a huge sadness that it was gone. Thanks so much for bringing this site and those memories back for me. I enjoyed going to the Garret Coffee House so much. Lived in Leimert Park but had many friends in the valley or n. Hollywood and we'd meet at the Garret...from '59 until '63 for me. This site is a treasure! A friend sent me the link tonight and I've been reliving wonderful memories of my seemingly endless nights spent at the Garret. It was my home away from home, the place where immersed my troubled teenaged soul in the warmth of Terrea's voice, the Garret Special, Stacy and Sue's friendship and grins. I think of Terrea every time someone leaves someplace early and I tell them "You'll miss the drawing." The Garret was my haven and my place of joy. Thank you, dear Webmaster, for creating this site. And thank you Terrea, Stacy, Sue and all who ran the cappucino machine. I think of you all whenever I hear that squidging whoosh wherever it may be. Spent much of my late teens, early 20's at the Garret with my first husband Jay Shapiro who had worked there on and off as a doorman. We used Terrea's beautiful song Love is a moment at our wedding and I still have the autographed album cover she signed for us in 1967. Glad to hear you are still going strong and so glad I found this webpage. Thanks for many wonderful memories and the beautiful music I still listen to. I purchased the retrospective CD, which I love,and would hope to see another one available soon. 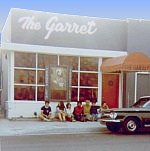 I use to go to the "Garret" in the late 60's, one of my favorite places to go. One of her songs was "the Lovers" which made a big impact on me, and would love hear Terrea sing it again. What are the chances of another CD being made whith the "The Lovers" included in it. Yesterday, after all these years, I found myself singing "Bon Soir Dame," as I drove around doing my errands. I enjoyed going to the Garret back in the 60s. Thanks to the webmaster for keeping these memories alive. Great days, great music. I was especially moved by Terrea's rendition of "Two Brothers." Now I can be found at least one night/week singing and fiddling at a Songmakers' Hoot, and haven't missed a Kenny Grove Songmakers' Camping week-end since my harp playing/singing husband and I first discovered them about 1 1/2 years ago. We'll be at Music in the Mountains (a folk music week-end) the week-end of Nov. 5-7 at Camp deBenneville Pines-highly recommend it if you're still a folkie! We also do our best to never miss the S.M. Traditional Folk Club which meets in S.M. the first Sat. night of the month. Hope to see you folkies at one of those places! I loved going to the Garret in the late 60's and until it closed. Loved sitting around the fire pit and listening to Terea Lee sing Lemon Tree and Today. I graduated Beverly Hills H.S. in '66 and UCLA in '70. Love to hear from others who hung out there in those days. Went to Fairfax High School in early 60's. Loved going to the Garret ( I think it was almost every Fri. night ).